While communities across the United States mourn the state of education, the non-profit Seekers Unlimited is changing the very nature of education for the better with Live Action Role Playing games or LARPs. Seekers Unlimited has been testing its educational LARPs in classrooms in Los Angeles for over a year. Now Seekers wants to bring six of its “edu-LARPs” to the nation through a game changing Kickstarter campaign. People who believe that kids should love learning and succeed in school are helping Seekers to reach its goal of raising $8,000 by August 30, 2013. Life Imitates LARP: Isn’t that a kind of fish? When people hear the acronym LARP (Live Action Role Play) a number of images come to mind. Possibly it involves dressing up in medieval clothes and beating up each other with foam swords. It could also involve something that looks like this. When I got into LARP, it all started when a fellow Rocky Horror cast member said, “Hey, there is this Vampire game flyer. Why don’t we go check it out?” What I experienced that first night was the best combination of Table Top and acting in which I had the pleasure of indulging. 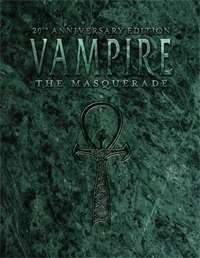 FlamesRising.com is pleased to present you with an inside look at an event called “The Grand Masquerade.” This annual event, hosted by White Wolf Publishing, is held for fans of the World of Darkness. This interview was conducted by FlamesRising.com’s editor-in-chief Matt M McElroy, who is also a long-time fan, Storyteller and promoter of White Wolf. I had the chance recently to sit down with Shane DeFreest, World of Darkness Community Developer for CCP/White Wolf, and ask him about the upcoming gathering called The Grand Masquerade. The Grand Masquerade is a World of Darkness Convention being held on September 23-26, 2010 at the Roosevelt Waldorf Astoria Hotel located in the New Orleans French Quarter. As ICC 2009 rolled into its second day of events I had the chance to attend a retrospective panel that featured developers of both Mage and Werewolf games (past and present). On the panel were Ethan Skemp, Bill Bridges, Eddy Webb and Jess Heinig. 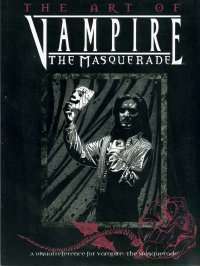 The panel offered a good look back at some of the design choices and core themes of both games and gave fans a chance to ask some questions about the differences, from the developers point of view what the biggest differences were between the previous World of Darkness editions of the games and the new World of Darkness versions. I’m attending International Camarilla Convention 2009 and for the first time, ICC is taking place in Atlanta…White Wolf’s stomping ground. This year’s ICC has a ton of great looking events going on. Ranging from Requiem, Forsaken, Awakening and Lost LARP games that are part of the current global storyline, to a oWoD Sabbat LARP that is also a charity event raising funds for Get Well Gamers. In addition to the various LARP events there are some interesting panel discussions on the schedule that include several White Wolf staffers and other guests. It’s been too long since I took part in Live Action Role-Playing. It was the mid-nineties at Egyptian Campaign in Carbondale, Illinois. The Southern Illinois University’s Student Center was the perfect setting for a session of the Masquerade. There were outdoor and indoor sets. Hectic Narrators bounced all around in attempt to keep the action controlled. It was a great night, but I’m reasonably sure there wasn’t a story to speak of. Yeah, I recall a handful of werewolves being found dead outside the building. There was also something about the Prince being mad. 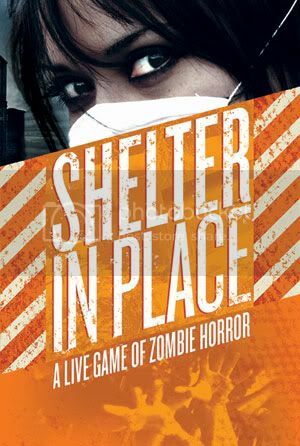 To be honest, the game was an excuse for the largest number of gamers at the convention to cut loose and have fun. After reading City in the Sand, I have to wonder how much better that night would have been with a story underlying everything. I guess I should say a “good story that people were interested in” underlying everything. City in the Sand takes an interesting bit of cinema’s history and applies a little Vampire bite to it. 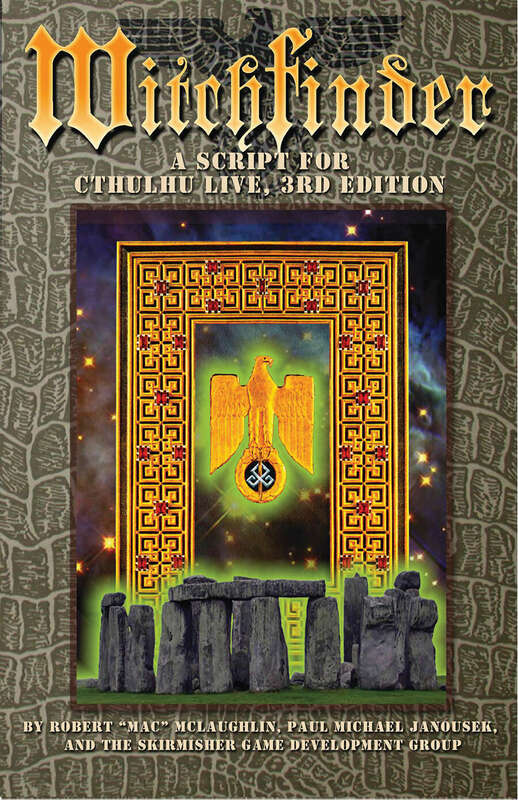 Witchfinder, an adventure for Cthulhu Live 3rd Edition, is designed for a large group to explore some Nazi evil-doings. Stay with me as this is my first true LARP review, so my format may be a little different. This adventure is written for roughly thirty players; however, the writers do make concessions for larger or smaller groups. The PDF comes in several formats. For the purposes of this review, I worked from the grayscale option. Witchfinder’s layout is really cool, even when toned down. Each page looks burnt and aged around the edges. For the pages of props (Morse Code transcripts), this style will look nice for players. The character sheet handouts also have this border, but are also inset with key information required for the game. The characters’ histories can be folded back or cut off after the information is gleaned. Also, icons for the various (there are quite a few) factions in the game highlight each character insert. 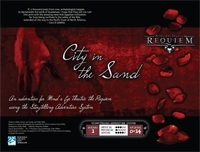 City in the Sand is a new Mind’s Eye Theatre product from White Wolf using the Storytelling Adventure System. This is the first MET product using the SAS format and I was immediately curious about how the format would work in a live-action environment. Let’s just say I was impressed with the overall quality of City in the Sand and at the amount of cool stuff that was included in this product. 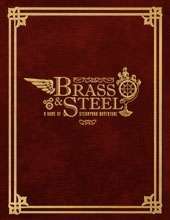 I contacted the folks at White Wolf and had the chance to talk to the authors (Eddy Webb, Kelley Barnes and Jess Hartley) about the design of the product and a bit about Mind’s Eye Theatre in general.